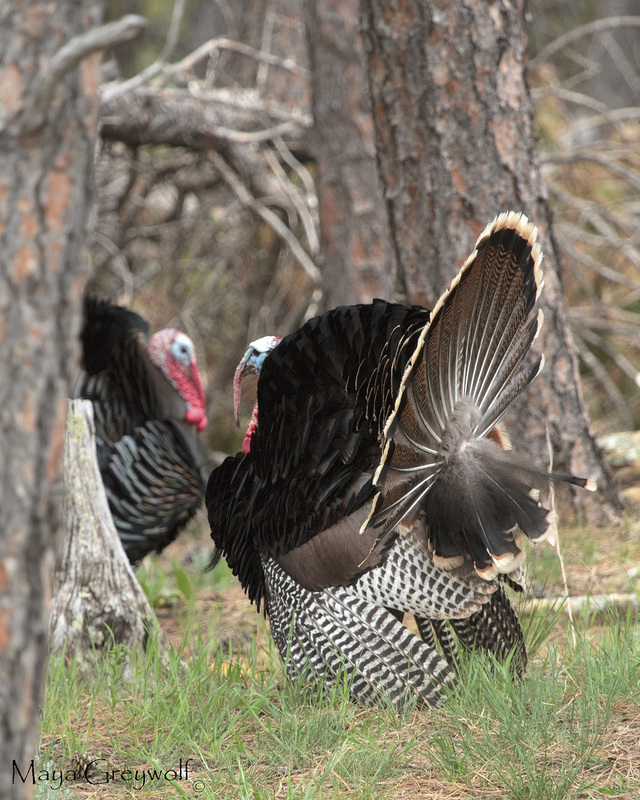 It is just amazing how many Wild Turkeys we have in this area. We’ve seen as many as thirty wandering about our neck of the neighborhood. These are two of three toms that regularly visit us – and routinely start gobbling at daybreak, which currently occurs about 5:15 a.m. I thought these two fellows looked like they were showing off for each other. This was a tom that was destined for the table. 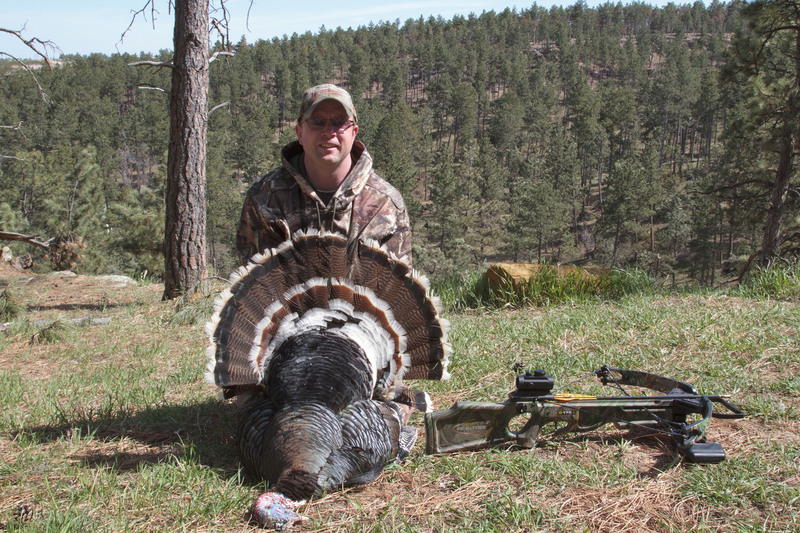 We allowed our friend Brad and his son Cole to hunt on our property. 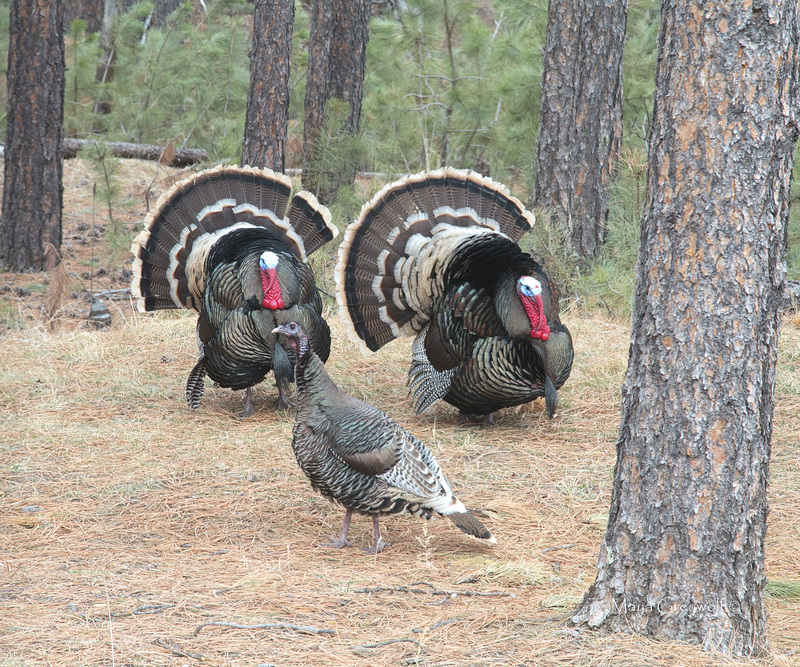 They each took one tom and we were the recipients of the first wild turkey either of us had ever eaten. It tastes very similar to domestic turkey however, it is considerably tougher. I’ve seen up to twelve toms strutting their stuff, all for the attention of ONE hen! The hens don’t seem to pay much attention to them. They really ARE proud of themselves but they should be, they look magnificent! I particularly like your 4th photo! Just beautiful. Nothing like a really fresh farm turkey, I have never seen nor had a wild one. Thanks! I agree about the fresh turkey. I wish we had more options for choosing where we get our food. I am big on grow your own or hunt it and eat it! 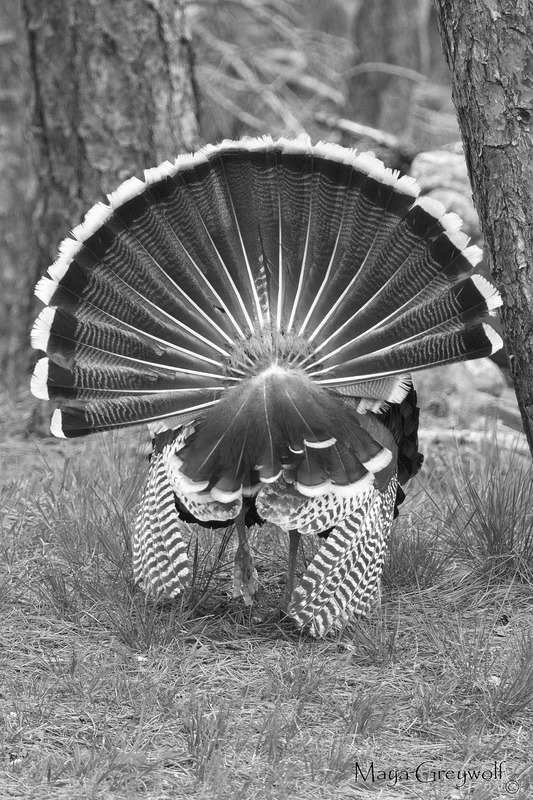 Those tom turkey pics are gorgeous! 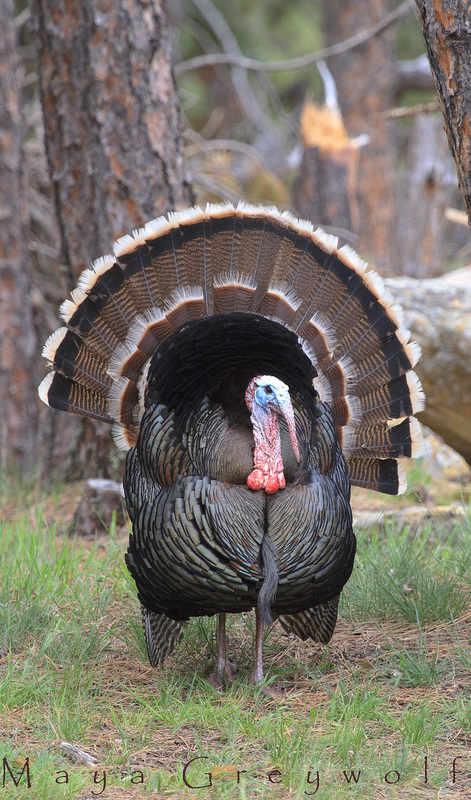 Maybe the Native American bonnets were made using some of those tail feathers in addition to eagles? Didn’t you feel a little guilty having one for dinner? While we have always had some females hanging around our yard, for the first time this spring, we had 2 toms. They were strutting their stuff for the females, it was funny to watch. Love these photos, especially that last one! Thanks Soonie! Yes, those toms can be really entertaining. Most of the time they just show off for the hens (and each other?) but once I saw two engage in a little beak battle which included locking beaks and dancing off across the neighborhood! They’re so much fun to watch – great photos again – you are so good with birds!